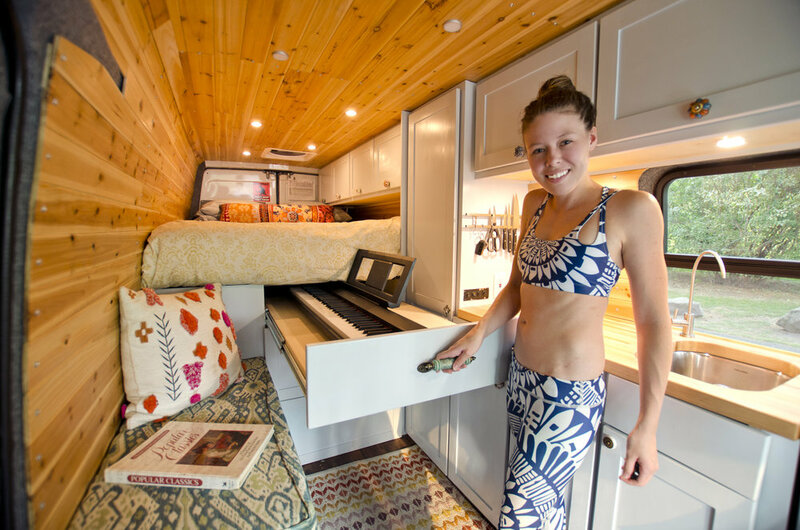 We've made some posts showing different steps of our FedEx Sprinter van conversion + what it looks like now that we're living in it, but we haven't shared any photos of what it originally looked liked. As such, I thought you might like to see the original compared to now as well as what it looked like in between as we moved through the conversion process. Also, it's officially our six month anniversary of living in the van! Shelves finally out! And no, this is not an add for Makita. So grateful my uncle and father helped us do the electrical work!